It’s the turn for Chennai Super Kings to travel to the Eden Gardens to face Kolkata Knight Riders in the 29th match of the season on April 14. 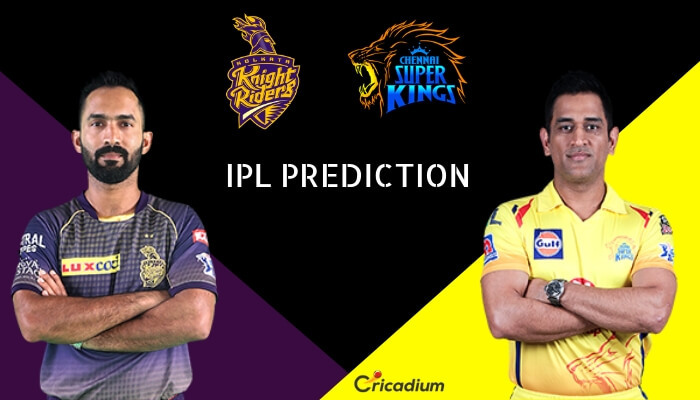 Keep reading to find out the IPL 2019 Match 29 KKR vs CSK Match Prediction. This is the second time these two teams will take on each other this season. In their previous meeting at the Chepauk, CSK had decimated the visitors by restricting them for 108/9. Then, the chase was accomplished with 7 wickets in hand. The MS Dhoni-led side will come into this game after their thrilling victory over Rajasthan Royals. KKR, on the other hand, was handed a defeat at home by Delhi Capitals. The momentum should be in the side of CSK who are also the table toppers. IPL 2019 KKR vs CSK Match Prediction: KKR would be itching to take revenge for their defeat in the last game. At home, they are a strong unit but at the same place, DC got the better of them. CSK, with the momentum, will go in as the favorites.